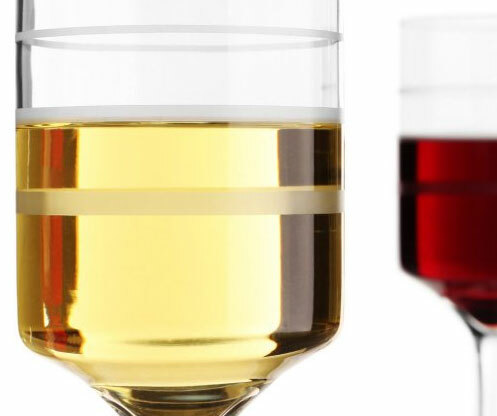 Discreetly etched with markings delineating the 4-ounce, 6-ounce and 8-ounce levels, Wine-Trax, the measuring wine glass , would certainly help some keep track of how much wine they (or their significant others) were drinking. For the rest of us, all we need to know is that when filled to the to the top one glass will hold 11-ounces. And then, we don’t really need to know that either, now do we? Salud!